Pakistan Day celebrations: People who refused to share their names and phone numbers were not allowed to participate in the event, alleged several guests. Delhi Police Friday evening posed various queries and sought details from guests attending a reception at the Pakistan High Commission on the eve of the country's National Day, according to several people who attended the function. 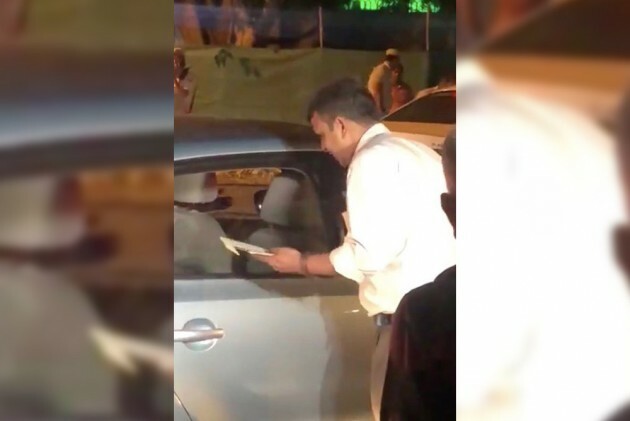 In an unusual move, police personnel posted outside the Pakistan High Commission stopped the guests and sought their names and phone numbers before allowing them to proceed, according to a number of guests. The people who refused to share their phone numbers were not allowed to proceed for the event, several guests said, adding they were finally let in only after they gave their contact details. Asked for comments, a senior Delhi Police official said, "The government boycotted the event. However, there were people who came for it. In such circumstances, it was important to note the details of people who were present there and to ascertain reasons for their presence." The Delhi Police personnel also asked several guests the reason for their coming to the event when the Indian government has boycotted the reception. India boycotted the reception, objecting to invites extended to several separatist leaders from Jammu and Kashmir for the event. "I have been coming to Pakistan Day reception for the last several years. But for the first time I am facing such harassment. This is totally uncalled for," said a retired IAS officer who wished not to be named. Another guest said, "Even after the Kargil conflict, we had not faced such harassment." Earlier, India boycotted the reception at the Pakistan High Commission here to mark Pakistan's National Day, objecting to invites extended to several separatist leaders from Jammu and Kashmir for the event. India's decision to boycott the reception here and events in Islamabad comes in the backdrop of heightened tension between the two nuclear-armed neighbours after the Pulwama terror attack and subsequent air strike by India on a training camp of the Jaish-e-Mohammed (JeM) in Pakistan's Balakot on February 26. Pakistan retaliated the next day by attempting to target Indian military installations.